First: it runs in the epsxe-emulator without problems. A ppf-patch i can't find for the PAL-Version. I tried to burn it with Nero and with CDBurnerXP ... everytime the burn itself works. but if i want to play it in a psx console (with modchip!) 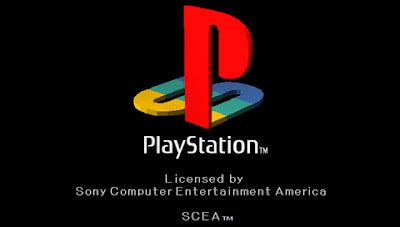 it stucks at a loading-screen where the Sony-PlayStation-Logo was. But with missing letters and no colored logo above it. Can anyone tell me, whats happening on this? Looks like it has to do with the anti-mod protection on the game. They usually have the anti-mod protection for PAL versions. This will usually freeze the game after the PS logo to prevent you from playing. Since they don't have the antimod fix for the PAL version. Therefore, what you could try is go to emuparadise and download the US-NTSC version of breath of fire 3 and then patch to convert it from NTSC to PAL. You can do this by using the Zapper2000 program they offer on this site or just use the NTSC - 2-PAL patch they offer on the PSX patches& trainers section. The US-NTSC version of breath of fire doesn't have the anti-mod protection so all you have to do is just convert it from NTSC to PAL to play on your PAL playstation console. I believe this should work. On emuparadise download the one with the suffix attached to it : [U]. The [U] means USA, which means it was ripped from a US-NTSC version. Last edited by ExtortionNoob; 16-11-2017 at 11:44.